I hope you like it our new stitch: Double Knot. It’s very nice and if it looks complicated, you will understand everything with photo tutorial. For more free designs every day follow us on Facebook. Link to the free pattern and tutorial is below. 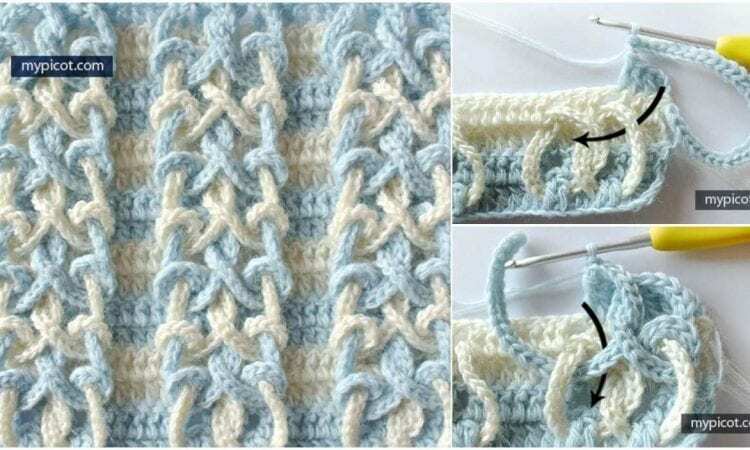 Double Knot Stitch – Free Crochet Pattern and Tutorial are here. Don’t forget to Like us on Facebook. Share your ideas and your work on our Facebook group! Is there a left handed version of this stitch ? I teach Crochet right and left handed….one way I convert patterns for lefties is to reverse the image on my printer. This seems to help those I work with. How do I get the pattern? What “down of website” mean?